Simone Felice is in a good place. In 2010 he nearly died. Emergency heart surgery saved his life. Still recovering, his first post-op album had a distinctly dystopian side to it. There was theft, murder, more murder and, most nightmarish of all, a song about eloping with Courtney Love. Fully recovered, he’s back. And how. Whereas his previous outing was often a pretty sparse affair, his new album is a fully realised creation. There’s a band, including friends and relatives. ‘Molly-O!’ sets things off in lively fashion. And ‘Gettysburg’ fairly clips along, making it more like the address than the battle. ‘If You Go To LA’ is a classic Simone Felice song, reminiscent of ‘If You Ever Get Famous’. And ‘Heartland’ is perhaps the stand-out track. It’s so familiar, it sounds like it should be a cover of a much-loved 70s song. Yet it’s a Simone Felice original. But utopia comes at a price. Before, a major part of the attraction was hearing about the antics of Bobby Ray, Hetti Blackbird, and a cast of often disreputable, if not downright dangerous characters. But, here, they’re largely absent. ‘Our Lady Of The Gun’ continues some of the Second Amendment themes of its self-titled predecessor and ending the album with a song called ‘The Gallows’ is a sign that there can be trouble in paradise. For the most part, though, this is, whisper it, an almost happy-sounding album. Is it the worse for that? Absolutely not. But there’s a different vibe for sure. In an interview, Simone Felice recounts that you can actually hear the ticking of his automatic heart valve on at least one of the songs on the album. It’s a life-affirming sound. And that’s the vibe that dominates Simone Felice’s new album. Thrilling. That moment before a track plays for the very first time. When you just know it’s going to lift you up and sweep you along. And it starts. And it does. And it’s thrilling. 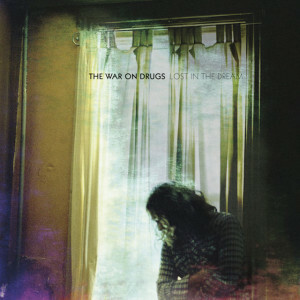 And the new album by The War On Drugs is chock full of those utterly thrilling moments. It’s built on a simple foundation. There’s always a solid backbeat. More often than not, it’s an almost monotonously solid backbeat. Creating the energy, but not getting in the way. Allowing everything else to play off around it. And over the top there’s always a guitar line. Sometimes it barks at you in a Neil Young-like angry way. Sometimes it weaves its way carefully in and out of the song. It’s a dizzyingly simple foundation. And then the beauty begins. Simple piano melodies. Shimmering synths. Plain keyboards. More guitars. Both simple acoustic and effected electric. Saxes. Saxes? Yes, saxes! And, most of all, huge, magnificent, majestic, transcendent chord changes. It all combines to create a resolutely earthy and yet totally trippy sound. A blue-collar fiesta of an album. An album to get lost in. MH370 lost in. Only once does it take a misstep. 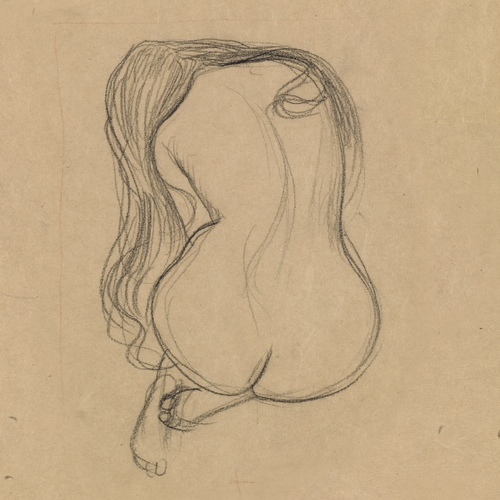 Three tracks in and ‘Suffering’ brings you right down. It’s not the only slow track on the album, but it’s the only miserable one. Otherwise, this is an eyes-closed, head-wobbling, foot-tapping, mind-cleansing collection of songs. On Lost in The Dream Adam Granduciel has created this year’s first and, who knows, perhaps only masterpiece. An album full of tracks you don’t want to end because they’re so good. Tracks you want so much to end because you know the next one is going to be even better. It’s thrilling. 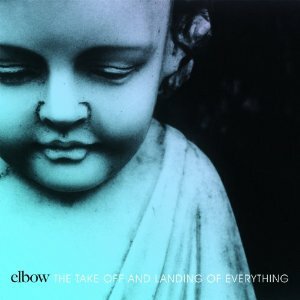 Elbow have done their level best to alienate their core demographic. Lads. Blokes. Laddish blokes. Happy married couples who once swapped vows to the strains of ‘One Day Like This’. Recently divorced couples who once swapped vows to the strains of ‘One Day Like This’. Unmarried early thirty-somethings who still sing-along to the life-affirming, but ever-so-slightly-ironic anthems of The Seldom Seen Kid. They’re all gone. The previous outing, Build a Rocket Boys!, was enough to put off most of them. It was just so slow. The latest offering will do for the rest. And, like its predecessor, what a great album it is. There’s a point on the first track, ‘This Blue World’, and at about 3.40 to be precise, where they could have changed gear and burst into yet one more life-affirming, but ever-so-slightly-ironic anthem. And, gloriously, they resist the temptation. In fact, they resist it so utterly and completely that there’s nary a one throughout the whole album. Admittedly, there are times when it makes things just a little dull. A little one-paced. ‘Honey Sun’ and ‘My Sad Captain’ are the equivalent of a Sunday afternoon nap in front of the TV. But most of the album is full of great, yet beautifully understated hooks. ‘Charge’ and ‘Fly Boy Blue/Lunette’ both contain wonderfully hummable choruses. The title track picks up the pace and gets into a great, almost stoner-like groove. And there are so many internal rhymes in ‘Real Life (Angel)’ that you can only sit back and wonder. And yet, for the lads, the blokes, the couples, ex-couples, and single-bed singletons who bought The Seldom Seen Kid in their droves it still won’t be enough. This is not the Elbow of a certain age. This a new Elbow. A different Elbow. And more power to them. On their new album, Real Estate issue an open invitation to compare them to their mid-80s indie jangle-pop counterparts. The results are in. They’re more melodic than McCarthy. More shiny than The Brilliant Corners. More sturdy than The Field Mice. Much more. Less trotskyite than The Redskins. Not difficult. More canine than Miaow. And on ‘Crime’ when they sing “Toss and turn all night, Don’t know how to make it right, Crippling anxiety”, you’d swear it’s déjà vu all over again. That’s a good balance sheet. But there’s a big difference. Mid-80s indie guitar bands were populated by very serious young men (mainly) making music in a rather ramshackle way. And the ramshackleness of it all was a major part of the attraction. By contrast, Real Estate would probably be great fun to have a drink with, but they take music making seriously. Really seriously. Atlas comprises 10 perfectly performed tracks, none of which is a moment too short or lasts a second too long. And all of which are produced absolutely beautifully. It’s a treasure. Sublime. A musical artefact. A truly good album. And yet, it’s just a little difficult to get lost in. With not a note out of place. With every composition so carefully structured. With so much thought having gone into to generating such a wonderful set of songs, it feels just a tiny bit forced. Only occasionally does it break free. ‘Had To Hear’ starts things off really well. ‘Primitive’ stands out. And ‘Navigator’ brings things to a close very nicely. But it never quite transcends. More than 25 years ago on Foxheads Stalk This Land, The Close Lobsters delivered 10 frantically jejune indie guitar pop tracks. 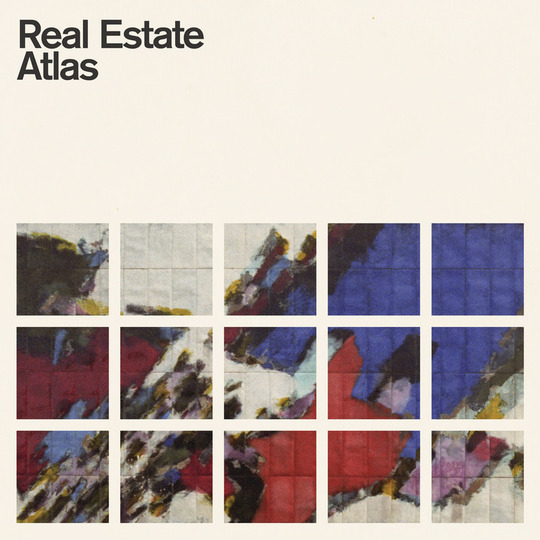 Nine were the same length as the average Real Estate song on Atlas. But on the last song, ‘Mother of God’, they spaced things out and let themselves go. Is Atlas a better album than Foxheads? Absolutely. But would it benefit from a little more ramshackle transcendence at times? Yes, it probably would. And that would make for a truly great album.